In the unfortunate event that you find yourself a victim of identity theft or fraud related to your Discover credit card, the company can help protect your finances and credit history. 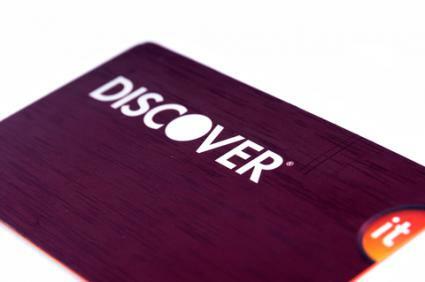 As a Discover cardholder, you are in very capable hands. Javelin Research ranked Discover number one in fraud protection among the top 20 card issuers in 2010, 2011 and 2012. If the system is triggered, a representative will contact you and ask you about the charges before holding you responsible for them. Stella Louise writes on Nerd Wallet, "Their fraud department is very diligent with seemingly innocuous incidents triggering them to place holds on my account. " Some may argue that when it comes to fraud protection, it is better to err on the side of caution. You can also sign up for free fraud alerts through Discover online and be notified by e-mail or text instead of through a phone call if you wish. Just be careful to call Discover at a number you know to be correct to resolve the issue instead of clicking on a link in any e-mail or responding to a phone message. Otherwise, you could find yourself the victim of a phishing scam. If fraudulent charges are made to your Discover account, you won't be responsible for paying any of the charges. Once fraudulent activity is detected, a fraud specialist will be assigned to work closely with you. You'll also have access to on-staff fraud representatives 24 hours per day, seven days per week. Not everyone is happy with this policy. A consumer reported to Just Answer that Discover denied responsibility when she was fraudulently charged for a cruise and refused to refund her money. If you suspect fraud has occurred and have not been notified by Discover, call 1-800-347-2683 as soon as possible. Discover allows account holders to receive their monthly statements online instead of via postal mail at no charge to help keep their information safe from dumpster divers or individuals who steal from mailboxes. Instead of receiving your monthly account statements by mail, you'll simply receive an email notification letting you know that you can log into your account and view your statement online. A user praised this service on C-Net: "If your credit cards are stolen or lost, one call and they take care of notifying all the credit card companies. All that and much more." There is a monthly fee related to this service. Some customers have complained that they signed up not knowing that there was a fee involved, and a 2012 inquiry resulted in Discover refunding a substantial amount of money to customers who felt as though they had been tricked into believing this service was free. To sign up, visit the Discover Identity Theft Protection online registration form or call toll free 866-708-0672. It's in your best interest to be diligent in making sure your identity is protected at all times. When it comes to identity theft, Discover credit card fraud protection is a good option for keeping your finances and your credit history safe.